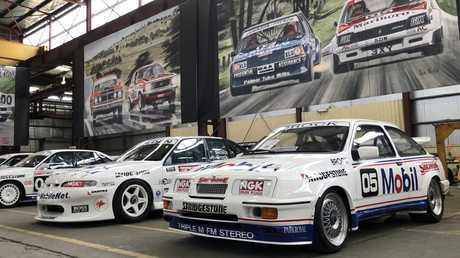 Peter Brock’s Bathurst-winning Holden Commodore from 1982 and 1983 has sold for a record $2.1 million. Picture: Joshua Dowling. 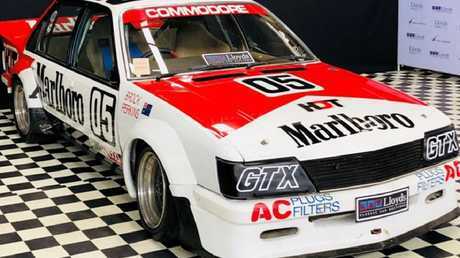 A RECORD $2.1 million has been paid for the Holden Commodore driven to victory by Peter Brock in two back-to-back Bathurst 1000 races - in 1982 and 1983. The sale smashed the previous record price paid for an Australian car by more than $1 million. In June 2018 an anonymous buyer paid $1.03 million for a Ford Falcon GTHO Phase III road car once owned by Australian fast bowler Jeff Thomson. 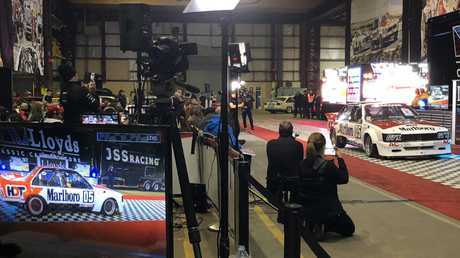 The largest collection of Peter Brock road cars and racing machines went under the hammer at Lloyds auction on the eve of the 2018 Bathurst 1000 on Saturday night. 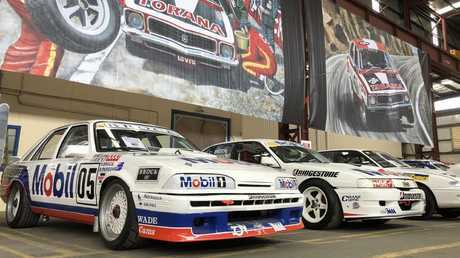 Brock’s unrestored Bathurst winner from 1982 and 1983 sold for $2.1 million, a new record for an Australian car. Picture: Supplied. 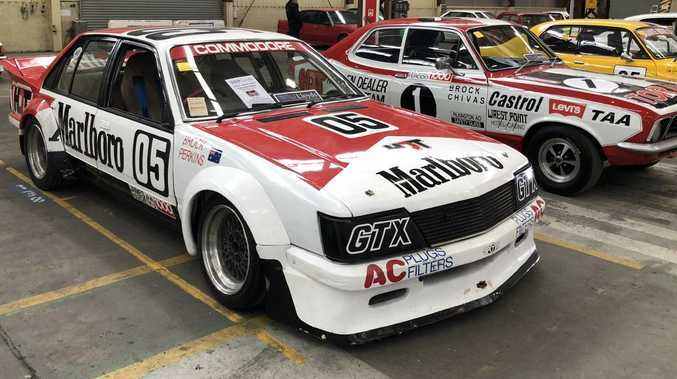 The star of the auction - the 1984 Holden Commodore Bathurst race car dubbed the "Big Banger" - was passed in at $850,000 despite predictions it would fetch $2 million. The auction reignited debate about whether the car for sale was the 1984 Bathurst winner - or if it was car 25, which finished second in the race. Bathurst motor racing museum - just a few kilometres away from where the auction was held - also has a car that's claimed to be the 1984 race winner. Investigations by experts over the years have proved inconclusive. The star of the auction, the 1984 “Big Banger”, was passed in at $850,000. Picture: Joshua Dowling. Peter Brock had written a letter to the previous owner vouching for the authenticity of the 1984 car being auctioned. Last night a motor racing logbook was briefly shown as a further means of establishing the car's credentials. However, despite the efforts of the auctioneer the bids didn't go past $850,000 and it was passed in. Serious buyers instead got into a bidding war for the two-time Bathurst-winning Commodore from 1982 and 1983, which was presented in unrestored condition and has no question marks over its bonafides. 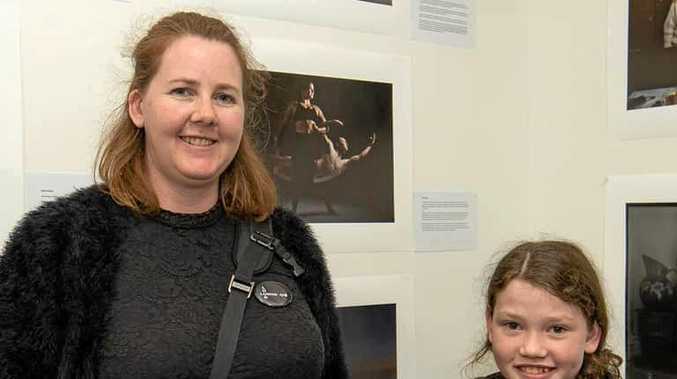 Following on online offer earlier in the week the bidding late into the night started at $1.61 million and took just four minutes for the hammer to go down at $2.1 million after just nine bids. Both the buyer and the seller have chosen to remain anonymous for now. The buyer will need to pay a 7.5 per cent fee of $157,500 on top of the purchase price, putting the total cost at $2,257,500. Going, going, gone … for $2.1 million. Picture: Joshua Dowling. Approximately half the cars were passed in after falling short of their reserve price. However, Rian Gaffy, the classic car curator for Lloyds, predicts most of the Brock cars will sell in the next fortnight after private negotiations. "Some of the lots got a bit more money than we expected, some didn't quite make it, but usually with an auction like this it's negotiating afterwards that will get the cars sold," says Gaffy. Car enthusiast Peter Champion, who previously owned most of the Brock race cars in the auction before selling most of the collection to an anonymous buyer five months ago, said he was surprised so many cars were passed in. Peter Champion opened the Brock museum in Yeppoon, Queensland in 2007 but the site closed its doors in 2013. The collection was moved to Dreamworld in 2015 but Champion sold most of the cars in early 2018. Just a few months later the anonymous buyer announced via Lloyds that the collection would be split up and sold at auction. When asked about the logbook, which had previously been reported missing, Peter Champion said: "It's always had a logbook, I just didn't show it to anyone. When you start seeing (Peter Brock's) brothers going out there saying they believe the real 'Big Banger' is in the Bathurst museum … it made my decision a lot easier." While many cars didn't make their reserve price there were notable examples fetching big money. 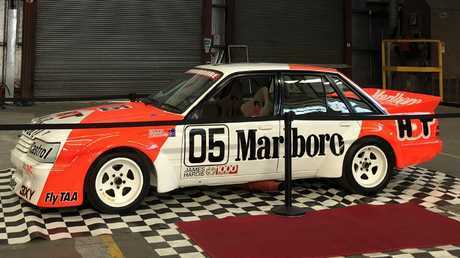 The 1987 Holden Commodore VL Group A '05' race car - which failed to finish the Bathurst 1000 that year and saw Brock switch to the second team car - sold for $800,000 under the hammer. With the 7.5 per cent buyer's premium the total sum paid was $860,000. This 1987 VL Group A race car sold under the hammer for $800,000. Picture: Joshua Dowling. 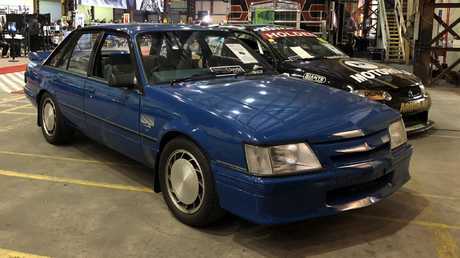 An immaculate 1985 Holden Commodore VK Group A road car with just 2375km on the odometer and build number 333 of 500 sold for $325,000, or $349,375 once the 7.5 per cent buyer's premium is added. Pristine machine … this near-new 1985 VK Group A pulled $325,000. Picture: Joshua Dowling. A 1989 Ford Sierra painted in Brock's 05 livery sold for $595,000 plus buyer's premium, bringing the total to just shy of $640,000. At the other end of the scale a Brock signature Ford Falcon EA road car from 1988 sold for $25,000. This Ford Sierra sold for $595,000. Picture: Joshua Dowling. Not finding a new home on the night was the last V8 Supercar Brock raced at Bathurst in 2002, passed in at $320,000, and his VN Group A Commodore race car from 1991 passed in at $310,000. One of the cheapest cars sold, the Brock signature Falcon. 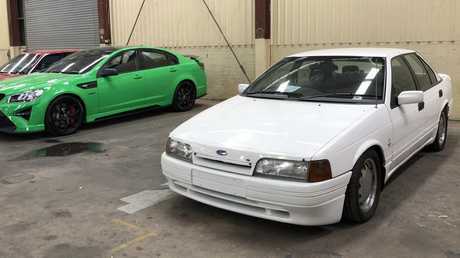 The HSV W1, left, is being sold at a later auction. Picture: Joshua Dowling. A replica of Brock's first race car, an Austin A30, was passed in at $79,000 and a replica of his original paddock basher - effectively a frame with an engine and wheels - was passed in at $8800.